Please click here to order a copy of Nice People: New & Selected Stories II. Please click here to purchase a copy of Glossolalia: New & Selected Stories. Please click here to purchase a copy of Black Maps, winner of the AWP Award for Short Fiction. Please click here to purchase a copy of Crimes of Passion, a collection of five stories and a novella Frederick Busch called "haunting" and "no less than wise." Please click here to purchase a copy of On Writing Fiction, a collection of essays Bret Lott has called "an invaluable course of study" by "a writer whose work I respect and admire utterly, and from whom I myself have learned a great deal about writing." Please click here to purchase a copy of Alone With All That Could Happen: Rethinking Conventional Wisdom About the Craft of Fiction Writing, the original hardcover edition that was reprinted in paperback as On Writing Fiction. 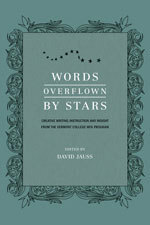 Please click here to purchase a copy of Words Overflown by Stars: Creative Writing Instruction and Insight from the Vermont College of Fine Arts MFA Program. 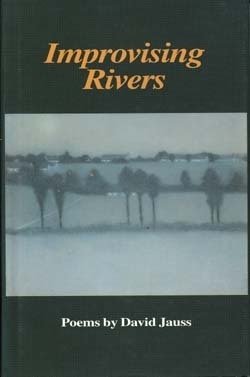 Please click here to purchase a copy of Improvising Rivers, a collection of "poems as intense as prayers" (Philip Dacey). Please click here to purchase a copy of You Are Not Here, winner of the Fleur-de-Lis Press National Poetry Book Competition. 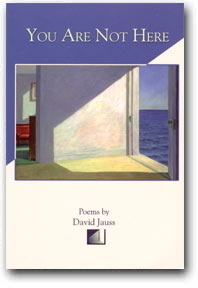 Please click here to purchase a copy of Strong Measures, which Barry Wallenstein called "one of the most distinctive and interesting anthologies of American poetry to come along in many years." 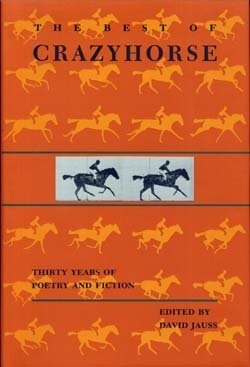 Please click here to purchase a copy of The Best of Crazyhorse, an anthology of the finest poems and stories published in the journal Stanley Plumly described as "among those magazines in which our national literature is carried forward." When people ask me what my fiction and poetry is about, I'm never sure how to answer. It's easier to say what they aren't about: my own life. As I say in my essay "Autobiographobia: Writing and the Secret Life," in my stories and poems I have tried to write my way into many characters whose lives I know nothing, or next to nothing, about. On paper, I have been—or at least tried to be—a nun, a serial killer, a bag lady, a nine-year-old boy, a 99-year-old man, a woman afflicted with hysterical blindness, a teenager who witnesses his father's nervous breakdown, a man with an artificial hand, a divorcee, a minor league baseball player from the Dominican Republic, a Hmong refugee, a 16th-century Spanish priest, a 19th-century Russian dwarf, the biblical Lazarus, and several actual writers (including Gustave Flaubert, Anton Chekhov, and Franz Kafka) and numerous actual jazz musicians (including Charlie Parker, Thelonious Monk, Billie Holiday, Miles Davis, Bill Evans, John Coltrane, Ornette Coleman, and Sun Ra). If there's a common denominator in all of the people I've written about, I don't know what it is. All I know is that I have been drawn to them and their lives and that they have created me as much as I have created them. It's a good deal easier to answer people who ask what I write about in my essays, seven of which are collected in the book On Writing Fiction: Rethinking Conventional Wisdom About the Craft of Fiction Writing (originally published in hardcover as Alone with All That Could Happen). 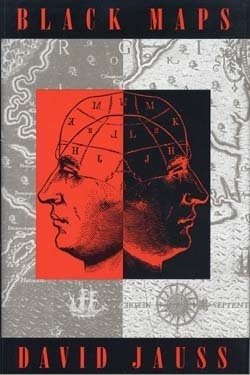 In my essays I write mostly about the craft of writing fiction and poetry—more specifically, about the creative process, point of view, characterization, present-tense narration, the music of syntax, epiphanies, innovative approaches to endings, modes of conveying emotion, experiments with traditional verse forms, and ways to structure short story collections. I have also written essays about various writers and their work. The subjects of these essays include Anton Chekhov, Flannery O'Connor, William Carlos Williams, James Wright, Stephen Dunn, and Lynda Hull. I've also written about jazz poetry and trends in contemporary fiction and about the controversial case of the West Memphis Three, who were wrongly convicted of murdering three eight-year-old boys in 1993. This website contains links to excerpts from and information about my stories, poems, essays, interviews, and anthologies. Please click on whichever links might interest you. And if you have any comments you'd like to make, please feel free to contact me at davidjauss@sbcglobal.net. I was born in Minnesota in 1951 and educated at Southwest Minnesota State College, Syracuse University, and the University of Iowa. I am the author of four collections of short stories, Black Maps, Crimes of Passion, Glossolalia: New & Selected Stories, and Nice People: New & Selected Stories II; two books of poems, You Are Not Here and Improvising Rivers; a collection of craft essays, On Writing Fiction (originally published as Alone With All that Could Happen); and a short monograph on the issue of completion in a work of art, A Crack in Everything: How We Know What's Done Is Done. I have also edited three anthologies, Words Overflown by Stars, an anthology of essays on the craft of fiction, poetry, and creative nonfiction from past and present faculty of Vermont College of Fine Arts, The Best of Crazyhorse: Thirty Years of Poetry and Fiction, and, with Philip Dacey, Strong Measures: Contemporary American Poetry in Traditional Forms. My fiction, poetry, and essays have appeared in numerous magazines, including Arts & Letters, The California Quarterly, The Georgia Review, The Iowa Review, The Missouri Review, The Nation, New England Review, The Paris Review, Ploughshares, Poetry, Prairie Schooner, Shenandoah, upstreet and The Writer's Chronicle. My work has also been read over Voice of America radio and translated into Braille, Spanish, German, Chinese, Hebrew, Indonesian, and Farsi. My fiction has appeared in more than a dozen anthologies, including Best American Short Stories; Prize Stories: The O. Henry Awards; The Pushcart Prize: Best of the Small Presses; and The Pushcart Book of Stories: Best Stories from the Pushcart Prize. My poetry has appeared in 30-plus anthologies, including Strongly Spent: 50 Years of Shenandoah Poetry and The Poetry Anthology, 1912-2002: Ninety Years of America's Most Distinguished Verse Magazine. From 1981-1991 I served as fiction editor of Crazyhorse, and I am currently on the Editorial Board of Hunger Mountain: The Vermont College of Fine Arts Journal of Arts & Letters. In addition to the O. Henry Prize, two Pushcart Prizes, and the Best American Short Stories selection mentioned above, my awards and honors include the AWP Award for Short Fiction, the Fleur-de-Lis Press Poetry Prize, a National Endowment for the Arts Fellowship, a James A. Michener/Copernicus Society of America Fellowship, a fellowship from the Minnesota State Arts Board, three fellowships from the Arkansas Arts Council, and the Porter Fund Award for Literary Excellence. I taught creative writing at the University of Arkansas at Little Rock from 1980 until my retirement as a professor emeritus in 2014. I continue to teach in the low-residency MFA in Writing Program at Vermont College of Fine Arts, where I have taught since 1998. I live in Little Rock with my wife Judy and our dogs Libby and Sammy. We are proud parents of two grown children, Alison and Steve, both of whom live nearby, Alison with her dogs Prudence and Digby and Steve with his wife Kewen and our darling grandsons Galen and Ethan. For a reading, lecture, workshop, interview, or other professional event, please email me at davidjauss@sbcglobal.net or write me at 15 Marble Court, Little Rock, AR 72212-2116. 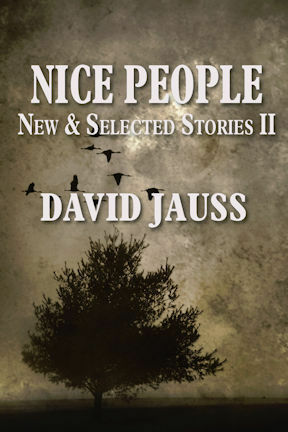 A companion volume to Glossolalia: New & Selected Stories, Nice People contains revisions of four works from previous collections, including the novella "Last Rites," and nine new stories. 11 stories from previous collections plus 6 new stories. Winner of the AWP Award for Short Fiction. Winner of the Fleur-de-Lis Press National Poetry Book Competition. If your e-mail uses Outlook Express, click here to contact me directly. Otherwise, contact me at davidjauss@sbcglobal.net.